The Bridge Hotel is a large pub with a comfortable and cosy atmosphere. Here you can enjoy live music and superb pub grub. With simple decor and great views over the Tyne, the Bridge Hotel is an excellent choice for a night out with a loved one. 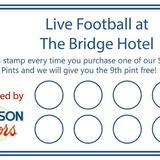 Do you work at Bridge Hotel? 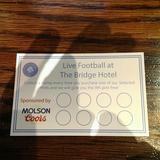 What did you think of Bridge Hotel? This is the best pub, I love the food, music, atmosphere, everything!! Good music, friendly atmosphere, great location, good prices - the number one pub - go there today. We're lucky enough to have quite a few really good pubs around Tyneside and, for me, The Bridge is definitely one of the best. Since I discovered the folk club that runs in the upstairs function room on Mondays I've become a regular. The location is wonderful - directly opposite the Keep of the castle that gave Newcastle its name, close to the famous Newcastle quayside and a very short walk to the Bigg Market and the centre of town. Transport links are very good, with the mainline station and the Metro not far away and there is a reasonable-size area for car parking directly outside (free of charge in the evening). 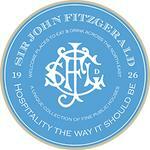 Beers don't cost a fortune, they will suit all tastes and change regularly, and the staff are cheerful and efficient. Perched over Newcastle’s river, and directly opposite the remains of the Castle Keep which gives the city its name, the Bridge Hotel is something of a minor tourist attraction in itself. It sits next door to the Vermont Hotel and hosts regular music nights, including the famous Acoustic Circus. The reaon for the pub's name is obvious. It sits next to the High Level Bridge, and although this is closed to traffic you can still see trains crossing the Tyne. The Bridge is big inside. You can sit at lounge areas at the front, or by some stained-glass windows, or at a raised area with bookcases at the back or opposite the long, elegant looking bar. Closer to the bar are high tables and stools, and you can get to the outside terrace through the back. You can get some splendid views of the river and the quayside, especially in the evening. And the toilets (downstairs) are some of the nicest you’ll see in the city. They match the theme of the pub - lots of wooden panelling and pictures of old Newcastle. The upstairs function room has a much smaller bar but a decent sized stage. Its best feature by far is the huge glass bay window from which the Newcastle Castle Keep can be seen in all its glory. The walls are covered with old advertisements and blues festivals programmes. The only bad thing about the upstairs room is the limited stock behind the bar. All soft drinks are bottled (and not refrigerated) and there’s little choice in the way of beers apart from Guinness, Carling and Fosters. The downstairs bar attracts a wide range of folk and it's fairly busy all day. A lot of older drinkers come here, but this could never be written off as an ‘oldies’ bar. The upstairs venue has plenty of people coming and going, and the sort of crowd who troops in depends on the style of music, the majority of which is of the acoustic/folk variety. Staff are welcoming, friendly, helpful and often happy to run downstairs when cash back is required for a punter at a gig in the upstairs bar – you don’t see service like that in many pubs. Bar food costs about £6 and is served between noon and 2pm. It's mainly home-cooked food on offer and sandwiches and starters are available for less than a fiver. Their specials board changes almost daily. The Sunday lunch is available from noon to 3pm, and between 4pm and 6pm you can get a pot of tea with a scone or cake for only £2.50. On tap you have a decent choice including Smith's, Fosters, Guinness and Carling (both regular and cold), Theakstons Best Bitter, Budweiser Budvar, Hoegarden and Becks. Three regular real ales include Black Sheep, Mordue and Deuchars and there are four guest brews. Two familiar ciders, Woodpeckers and Strongbow, complete the on tap line-up and there’s also a large selection of bottled beers, wines, spirits and cocktails – their Whisky selection is especially good. Definitely worth a visit on your tour of Newcastle’s historic sites, the Bridge Hotel is a must for fans of live music in an intimate surrounding, real ale and an atmosphere as relaxed as it is friendly.